Gosh where has the year gone? With Thanksgiving attended to, we find ourselves staring down Christmas and his best friend Overeating. Just behind him, Boxing day is lining up nicely but looking past his shoulders, New Year’s Day lounges lazily behind and beyond that 2014 is a blur and really, anyone’s guess. My own guess? More Whisky! 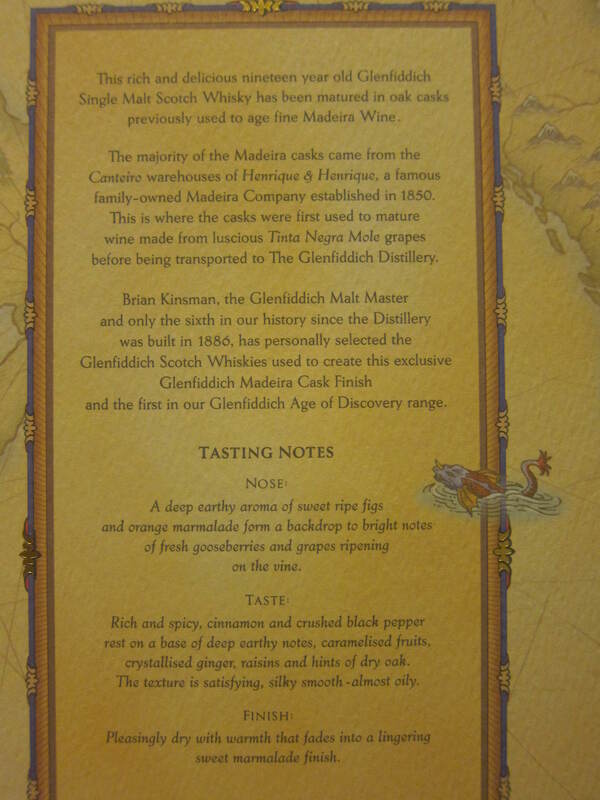 Quick note: There are actually 3 bottlings in this series, a bourbon cask, a red wine cask, and this Madeira cask. Nose: Rich! Honied and fruity – in a raisiny preserved fruit way. Treacle and cocoa. Quite complex. Palette: Black tea and earthy notes. Little bit of hotness and quite drying. Herby and slightly mentholated.This really needs more hp. 46% minimum. Finish: Little. Lacks Oomph. Sort of comes apart after meeting the tongue. Meh. Had dinner with a few old friends at a Japanese restaurant at Fullerton Bay Hotel – what better whiskies to have than Japanese then. Brief notes: Delicately spicy and fresh. New oak? And again light fruit. Turns Malty with vanilla notes on the palette. Would go excellently with Hamachi or Swordfish sashimi. 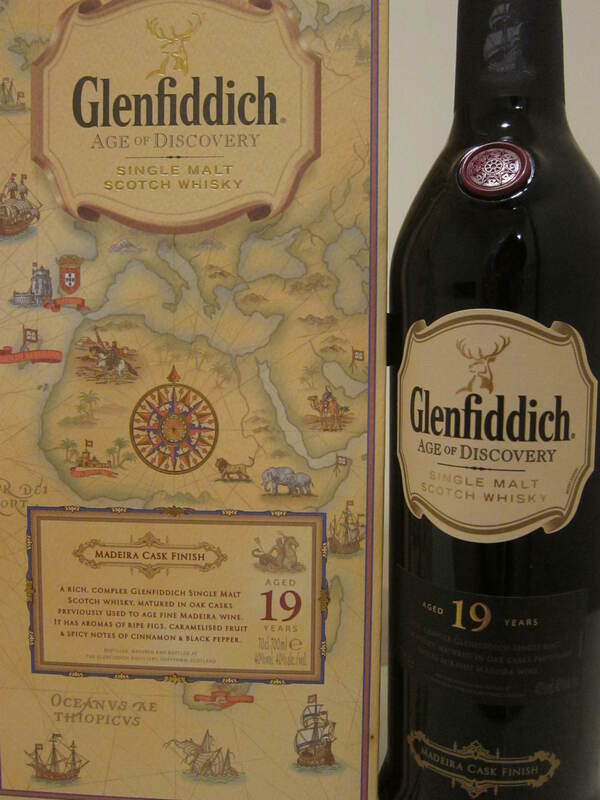 This entry was posted on December 22, 2013 by Whiskyrific in Glenfiddich and tagged 19, Age of Discovery, Glenfiddich, Hakushu, Madeira, Nikka.